Major BitLocker encryption security fail caused by new Windows 10 update? It seems that Microsoft has dropped the ball on the security front, as the new autumn update for Windows 10, while introducing lots of juicy new features, unfortunately also messes up BitLocker encryption – at least for some folks. It's not unheard of for updates to break things as well as fix stuff, of course, although this is a surprisingly major Windows 10 hitch when it comes to the security of user data. Apparently, according to some users posting on the TechNet forum (spotted by Neowin), if you do a clean install of Windows 10 build 10586 (the new November update), you can't enable BitLocker encryption. BitLocker encryption still works just fine in the build of Windows 10 previous to the November update. And if you had BitLocker encryption enabled previously before applying the November update, it won't cause any problems with the system – unless you later turn encryption off, and then try to enable it again, in which case you could get the same error message and failure as those applying a fresh install (something about a parameter being incorrect, by all accounts). 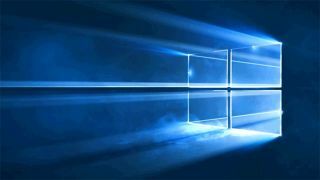 So be warned – if you've updated Windows and are using BitLocker encryption, it might be an idea just to leave it well alone until Microsoft manages to look into this issue. Users have said that this affects the hardware encryption mode of BitLocker, and it could depend on the exact hardware configuration you're running whether or not you encounter problems. The new Windows 10 update applies a variety of stability and performance tweaks, new features for the Edge browser, tweaks to Cortana and business features to make the deployment of the OS easier for IT admins.